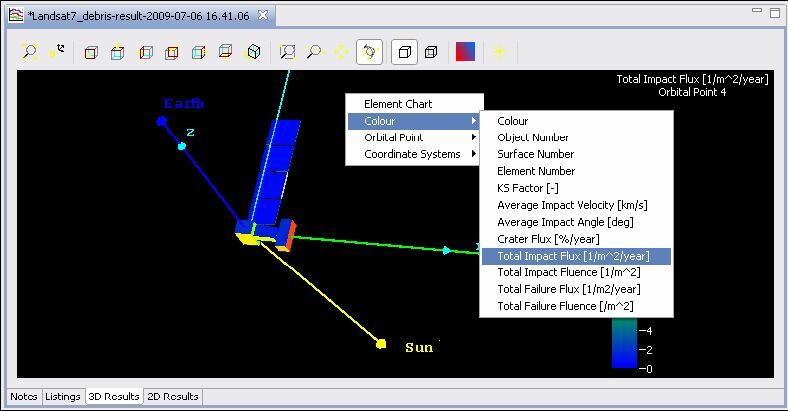 The ESABASE2/Debris application can be used to perform risk analyses appropriately consider the risk posed to a spacecraft by the space debris and meteoroid environment based on the latest environment models. Geometry models can be extended to contain shielding parameters for those fully three-dimensional analyses taking into account geometrical shadowing effects and secondary ejecta. Furthermore, the Debris application allows to apply several pre-defined, but configurable state-of-the-art failure and damage laws. In addition, the user can use his own failure and damage equations via the so called “user subroutine” interface.